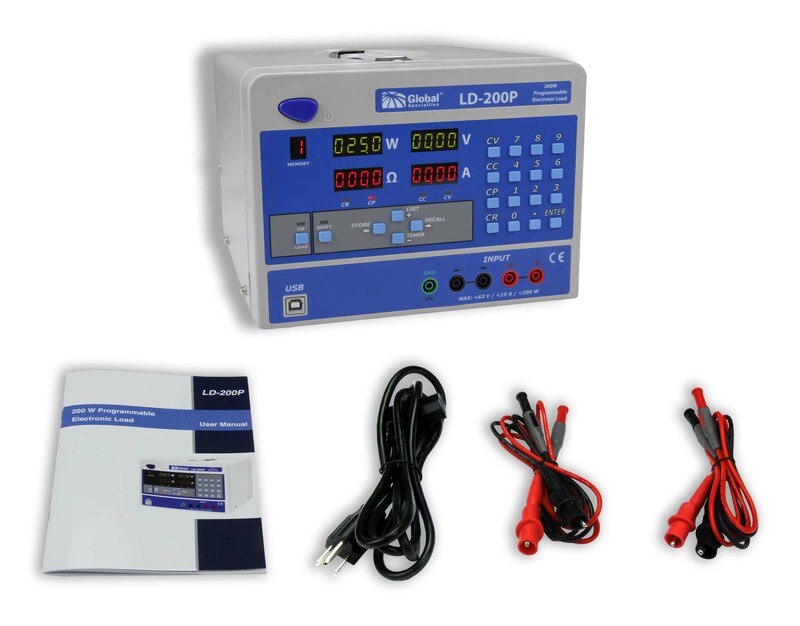 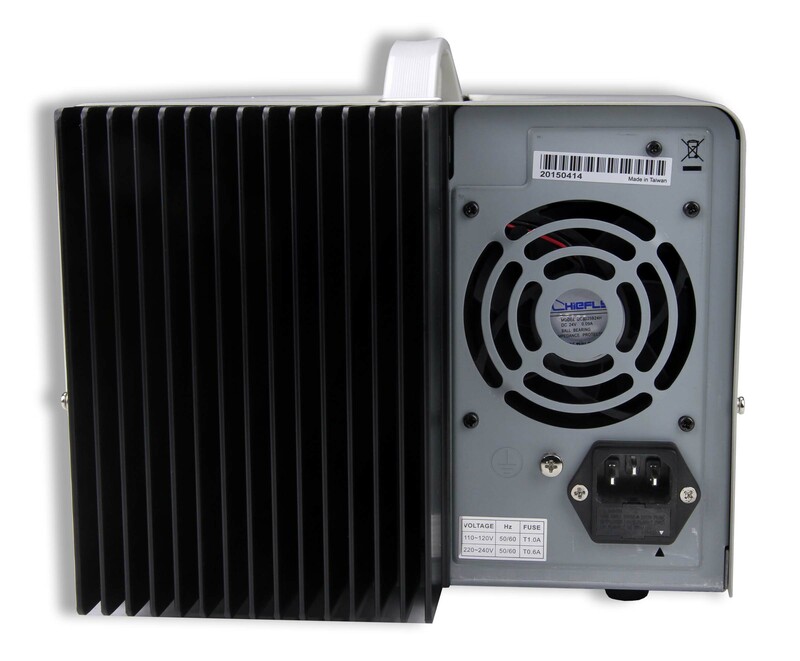 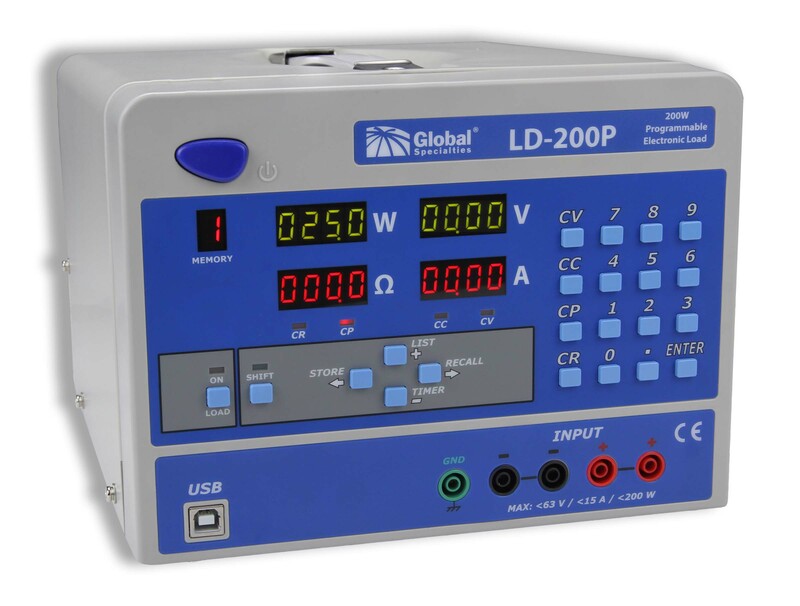 The LD-200P can be used for testing and evaluating a variety of DC power sources. 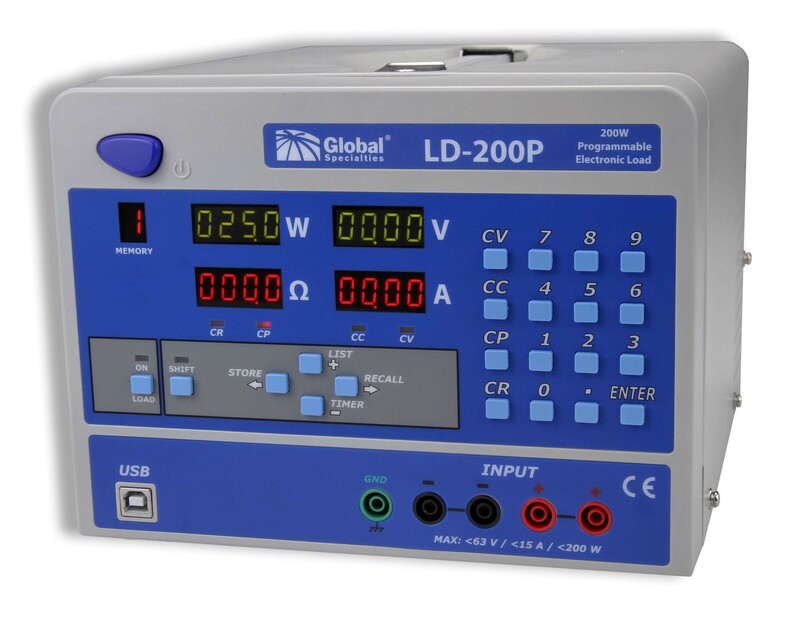 Reliably test up to 200 W. The load can operate in CC, CV, CP, or CR mode while voltage/current or resistance/power values are measured and displayed in real time. 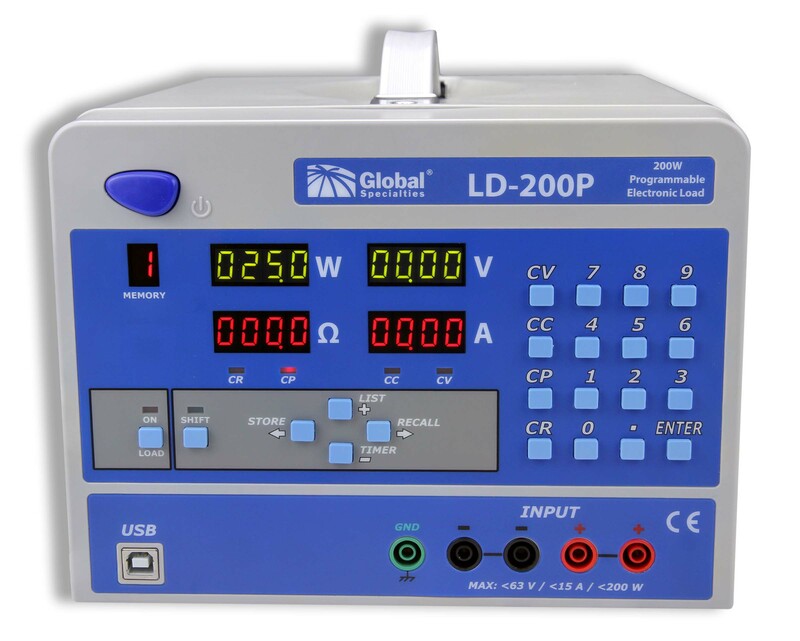 Overvoltage (OVP) and overcurrent (OCP) protection will help protect your valuable prototypes and circuits.